As I mentioned months back in my Vitamin E Haul, I’ve never used an eye cream before. Tut Tut I know. In all honesty, before I started blogging, I never knew what all these different creams/lotions/oils do. I used a very basic moisturiser, and that was about it. So I was pretty excited when I first bought this, my first eye cream. I didn’t know what to expect when I first started using this. It claimed to be ‘radiance boosting’, helping to get rid of dark circles and puffiness. It was only after using this for 4/5 weeks that I started to notice a difference, so don’t use this if your after a quick fix. It definitely works great with helping with my tired eyes first thing in the morning. 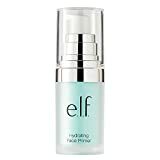 I find that the formula is great, its not too greasy, and the Vitamin E works so well with my skin. I’ve never used another eye cream before, so I can’t really compare it to others, but I certainly am loving this. And for only £2.99 what’s not to love about it? I really want to say I’ll be sticking with this as my regular eye cream, but I really want to try out some others, so recommend me some of your favourites for me to try out! Rating – 6/10. It seems like a great product, but I don’t really have much knowledge in eye creams. Although it does seem to be working well for me.